Niagara Conservation N2515CH. Finish: Chrome Features: -Materials: Metal, Plastic, ABS. -Volume: 1.50 GPM. -WaterSense certified. -Extra large spray head. 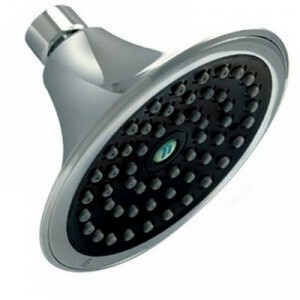 This is a Massaging Shower Head. Style: -Modern. Product Weight: -0.28.